CAMARILLO, Calif.--(BUSINESS WIRE)--Apr. 11, 2019-- Semtech Corporation (Nasdaq: SMTC), a leading supplier of high performance analog and mixed-signal semiconductors and advanced algorithms, announced that Ineo-Sense, a developer of intelligent and autonomous sensors for Internet of Things (IoT) applications, has integrated Semtech’s LoRa® devices and wireless radio frequency technology (LoRa Technology) into its “Clover-Core” series of sensor products for smart asset tracking in manufacturing settings. Ineo-Sense designs, develops and markets intelligent and autonomous sensors for the industry to fully exploit the potential of the Internet of Things. Its solutions make it possible to answer essential problems on the main industrial sectors (production, logistics...): asset tracking, security, data collection related to energy use. All of Ineo-Sense’s solutions embrace the “Clover-Core” breakthrough technology which collects relevant data in real time, making it easier for companies to make decisions and improve their production processes. A pioneer of IoT since its creation in 2010, Ineo-Sense benefits from a proven expertise with already 70,000 sensors successfully deployed in France and internationally. 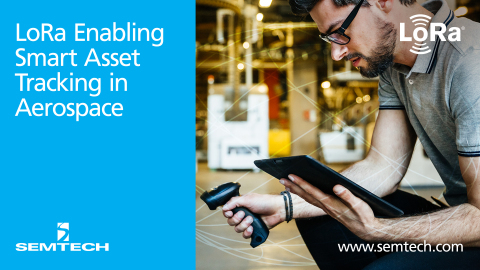 The solutions developed by Ineo-Sense are based on its embedded technology platform for the realization of high added-value industrial connected objects, combined with recognized expertise around LPWAN low power and long-range radio networks. For more information, visit www.ineo-sense.com.